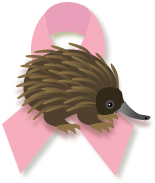 This web site provides an Australian meeting place for people with breast cancer and for those affected by the breast cancer. The organisations shown below have come together to satisfy a perceived need in the community - to provide a breast cancer forum relevant to the Australian people and to over come the barriers created by distance and isolation so that communication, information and support can be accessed by all. This forum was originally created in December 2005 by and for a group of women attending BreaCan's third HereAndNow program for women with advanced breast cancer. After several months of operation, the forum was opened to the public and began welcoming members from all over Australia and New Zealand. Janine Gilbert and Cheryl Davis, the founding Administrators of the forum, worked tirelessly to develop and maintain the forum until their deaths in August 2009. Their foresight in joining with other breast cancer organisations to form a national online forum for people affected by breast cancer has meant that the Aussie Breast Cancer Forum is now a vibrant meeting place and a lasting tribute to their memory. Administration and moderation continues to be performed by volunteer members. We were very happy to welcome the active involvement and support of the Advanced Breast Cancer Group (QLD) in 2007 and Breast Cancer Care of Western Australia (formerly the Breast Cancer Foundation of WA) soon after as our partners. In 2015 the Advanced Breast Cancer Group of Qld officially took on the ownership of the forum they have supported financially since 2009 and with advice and direction since 2007.